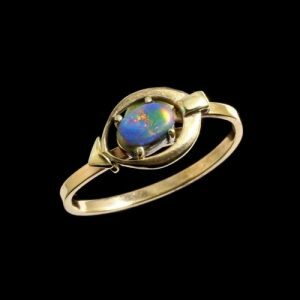 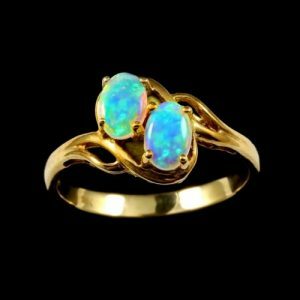 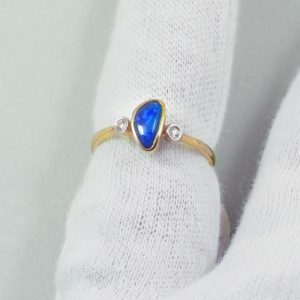 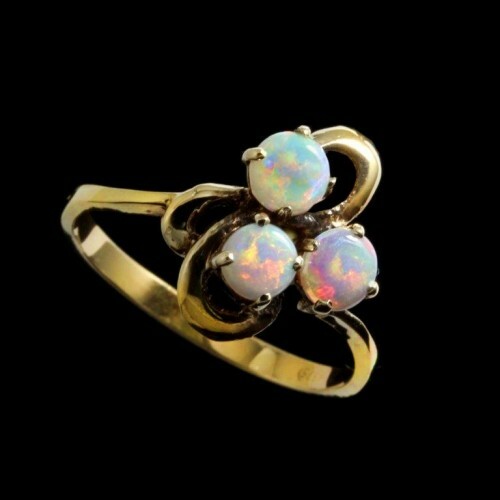 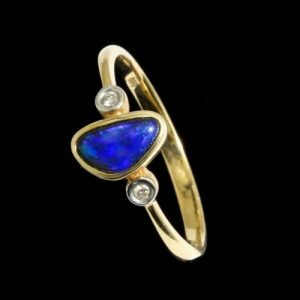 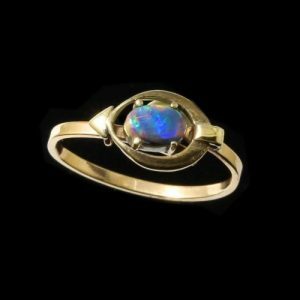 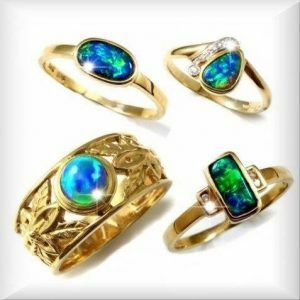 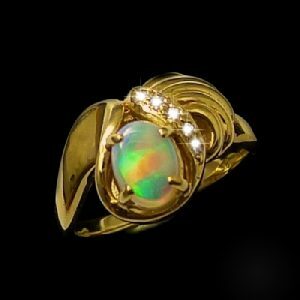 Crystal opal ring: a cluster of three small round opal crystals set in 14k yellow gold. 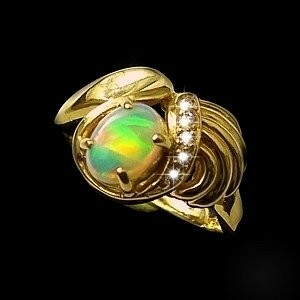 Freight and packaging are free. 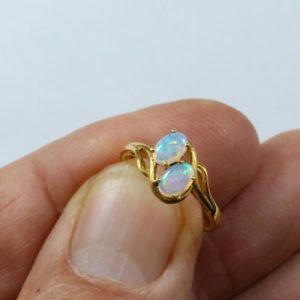 Coober Pedy is the famous opal mine in Australia that produces a light colored opal that can be either opaque (surface) color, translucent, or having a color that can be seen into.